A vineyard view. All photos courtesy of Alto de la Ballena. Wine is, if you'll excuse the pun, an intoxicating reason to travel. Especially when it's sipped and savored off the vine in the rolling countryside of Uruguay, a stone's throw from some of the best beaches in South America. 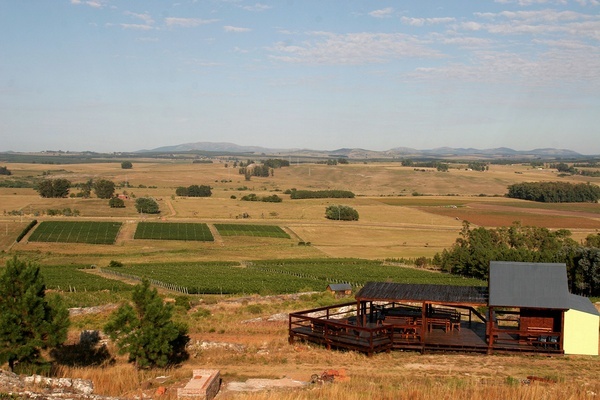 MALDONADO, Uruguay – I love wine. Specifically, I love drinking bold, red wines, which is probably why South America and I get along so well. A highlight of a recent trip to Uruguay was drinking really well at , a little winery just north of Punta del Este. Like its celebrated winemaking neighbors Chile and Argentina, Uruguay has a temperate climate that is well suited to growing great grapes. The country hasn't traditionally been a major player in the viticulture game, but a few local winemakers are out to change that. Alto de la Ballena owners Alvaro Lorenzo and Paula Pivel are among the early adopters. When the wine-loving couple bought land on a gently sloping hill in the Maldonado region in March 2000, there wasn't a single vineyard in the area. "We had no idea what we were doing," Paula told me. "We were wine enthusiasts who just decided to buy some land." Fast-forward fifteen years: They're now producing about 50,000 bottles of wine (approximately 5,000 cases) per year. The tasting room at Alto de la Ballena. 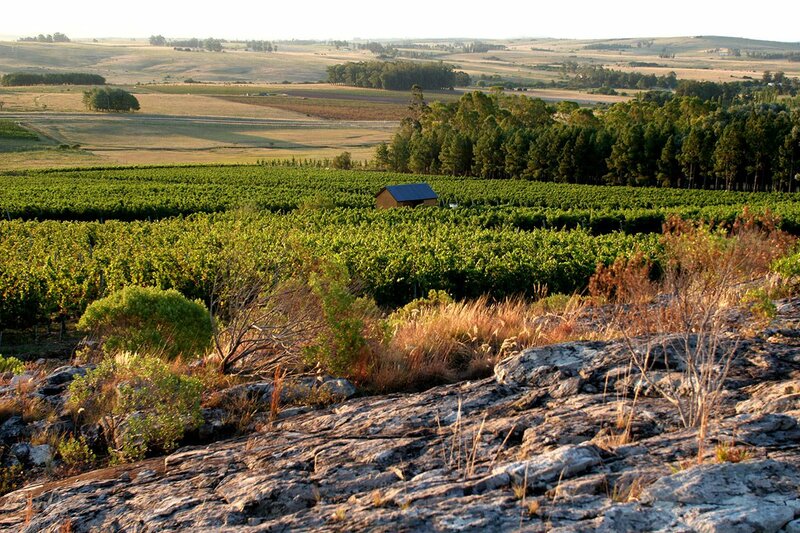 I recently visited the vineyard at the suggestion of Nicolas, my superstar driver in Punta del Este. "It's the best one," he assured me. As we drove up the winding road to the tasting room on top of the hill, I could see why. The winery has views over rolling farmland and feels utterly secluded, yet is only about fifteen minutes from downtown Punta. In the tasting room, Alvaro and Paula laid out heaping plates of cheese and bread to go with their signature bottles. It was pretty much heaven. The wines included a rosé that is deceptively dark pink in color but ultra light and refreshing on the palate, a rich and velvety cabernet franc that I liked so much I asked for a third taste, and the showstopper, an intense, spicy tannat viognier blend made from Uruguay's signature tannat grapes. I bought six bottles on the spot. I haven't checked a suitcase in ten years, but these wines were too good to leave behind. Visits to the winery are by appointment, loosely between 11:30 a.m. and 4 or 5 p.m., depending on Paula and Alvaro's schedules. (In other words, calling ahead is a must.) Because the wines are currently only available in Uruguay, Mexico, Brazil, and Sweden, drinkers in other countries will have to get on a plane to try them. Which is more than reason enough for me.